For as long as she can remember, beautiful and free-spirited Isabel has strained against the rules and rigidity of the Fellsworth School in the rolling English countryside. No longer a student, Isabel set her sights on a steady role as a teacher at the school, a safe yet stifling establishment that would enable her to care for her younger sister Lizzie, who was left in her care after her father's death. The unexpected arrival of a stranger with news of unknown relatives turns Isabel's small, predictable world upside down, sweeping her and her young charge into a labyrinth of intrigue and hidden motives. 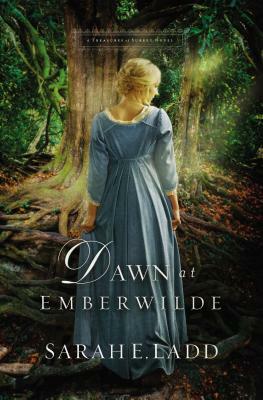 At her new family's invitation, Isabel and Lizzie relocate to Emberwilde, a sprawling estate adjacent to a vast, mysterious wood rife with rumors and ominous folklore--along with whispers of something far more sinister. Perhaps even more startling, two handsome men begin pursuing Isabel, forcing her to learn the delicate dance between attraction, the intricate rules of courtship, and the hopes of her heart. At Emberwilde Isabel will discover that the key to unlocking the mystery of her past may also open the door to her future and security. But first she must find it--in the depths of Emberwilde Forest.